This trek lies at the border of Nepal and Tibet and is a very remote area. Through the trails of Nangpa La Trans Himalayan business happens in caravan style. People from Tibet walk all the way down to Namche to sell their home made stuffs and salt to trade. The most wonderful experience would be to explore this area during the end of monsoon season when flowers pop out in Nangpa la, giving the trekkers the illusion that they are walking on textured carpet. 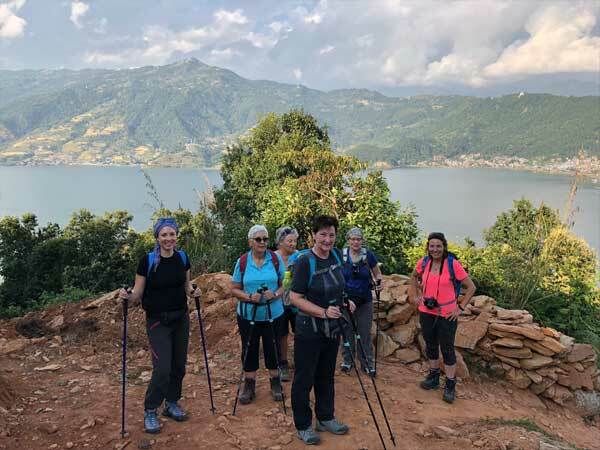 From Kathmandu we fly to Lukla and follow the traditional route to Namche Bazaar, where we leave the main trail to Everest Base Camp and head to Thame, at the foot of Bhote Kosi Valley. We trek towards Nangpa La, the pass on the ancient trading route that linked Tibet with Nepal. Sightseeing in Some of landmarks that are the World Heritage Sites of Kathmandu Durbar Square, the sacred Hindu temple of Pashupati Nath, the famous ‘Monkey Temple’ (Swayambhu Nath) and Buddhists shrine (Bouddha Nath). You can also make your last minute buying of personal items and preparation for the next day. Early morning after breakfast, we get transferred to domestic airport and fly to Lukla. After an adventurous 40 minutes flight above breathtaking green and white mountains, we reach Tenzing-Hillary Airport at Lukla. This is one of the most beautiful air routes in the world culminating in a dramatic landing on a hillside surrounded by high mountains peaks. At the airport, we meet our other crew members. We get time to stroll around while the guide divides and manages baggage to be carried by porters. We start our trek through the prosperous village of Lukla until we reach Phakding. To assist in acclimatization, we only have a short hike today. However, if interested in additional activities, take a side trip to a nearby monastery. Overnight in lodge on full board. Trek starts in the morning after breakfast. The walk today is pleasant with few short uphill and downhill with multiple crossings over Dudh Koshi River and magnificent view of Mt. Thamserku (6,608m/21,675ft) from the Benkar village. Cross some more bridges and reach the entrance of Sagarmatha National Park at Monjo, where our trekking permits are checked in order to keep record of trekkers and local trekking staffs as well. A descend and a gradual walk brings us to Jorsale, the last village until Namche Bazaar. The walk is enjoyable through the river bed and we reach Hillary Suspension Bridge. Now, as we climb up hill towards Namche Bazzar, closer and magnificent sight of Kwangde Peak, its sister peaks, Kusum Kangaru, Mt. Everest, Lhotse, Tawache, and many other fabulous mountains are viewed closer, we stop at the Chautara here to admire the view. Finally, we reach the colorful village of Namche Bazzar, the main gateway of Khumbu region. This is first scheduled ‘acclimatization’ day for this trek. Health experts always recommend us to stay active and moving during the rest day too instead of being idle. We either spend the day taking a day hike to Thame or visiting Khunde or carry out relaxed exploration of Namche Bazaar itself. Namche Bazzar is the main center of the Everest (Khumbu) region and has government offices, Internet cafes, shops, restaurants, a bakery and a colorful market each Friday evening and Saturday. If we trek a few hundred vertical feet during the day, it will help us to properly acclimatize. Visit the Tourist Visitor Center near the Sagarmatha National Park headquarters and observe an assortment of things related to the first Everest ascenders, Sherpa culture and learn about the various plant and animal life of the Everest region. We also take an interesting side trip up to Khumjung and climb up to famous airstrip at Syangboche. Just above the airstrip is the Everest View Hotel, a Japanese scheme to build a deluxe hotel with great views of the highest mountains on Earth. The Khumjung valley surrounded by the snowy peaks of Kongde and Thamserku and the sacred peak of Khumbila hosts a well known monastery that houses a yeti scalp. Visit Hillary School which is at the same site. After having lunch and spending some time in Khumjung, walk back down to Namche Bazzar. Day 06. Thame (3,801m) Traverse westwards with view of Kwangde (6,011m) and the waterfalls cascading off its flanks. Follow Bhote Koshi as trail goes high on its bank through yellow & white rhododendron forest (in full-bloom in May). Cross river, look back down valley for beautiful views of Thamserku (6,623m) and Kusum Kanguru (6,367m). Climb up through rhododendron forest to pasture lands in front of village of Thame. The secluded village is the birthplace of Tenzing Norgay, who first climbed Mt. Everest with Sir Edmund Hillary. Camp in meadows at the edge of village. An hour climb to the Cliffside monastery is of great interest. We take a nice descend walk through forest till to the riverside, across the river and take a walk up towards a big hill for 2 hours and will have a nice pleasant walk till to Namche. This is same way as we used before. Overnight at Namche on full board. Today the trail steeply descends to the Hillary Suspension Bridge and then continues on an easy natural walk to Phakding.After a linch, trail will lead you back to Lukla. On arrival in Lukla you will have time to relax, stretch those sore legs and celebrate the completion of your trek. Reconfirm your flight ticket. 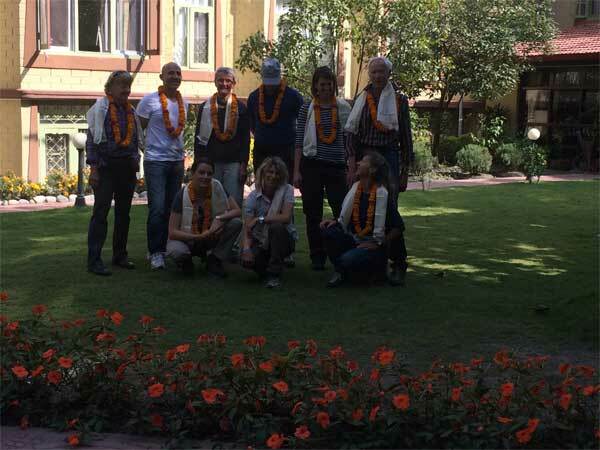 After an early morning flight to Kathmandu, you’ll head to your hotel. Today is a well-earned day to put your weary feet and gratefully rediscover all of civilization’s perks. You could catch up on some last minute shopping or explore any sights missed during your first day in Kathmandu.